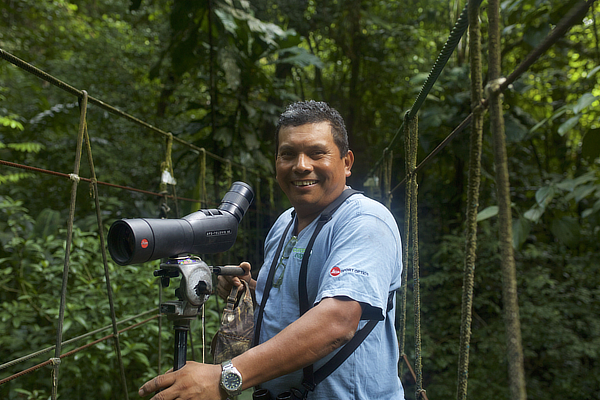 Danilo, born near the rural town of Penonome in 1969, is a long-time valued employee, first working at the Canopy Adventure in 1991 and earning full time bird guide status in 1998. 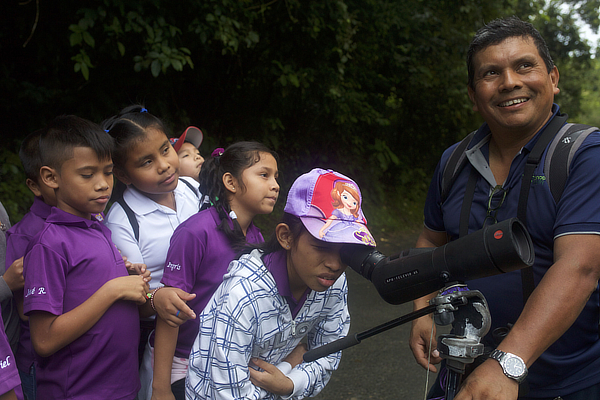 Danilo has an extraordinary knowledge of birds, their vocalizations and behavior and is also familiar with many of El Valle’s trees, flowers and natural history. In 2006 Danilo traveled to Boston, MA. where he attended a program for aspiring guides, sponsored by the Massachusetts Audubon Society, further advancing his knowledge. 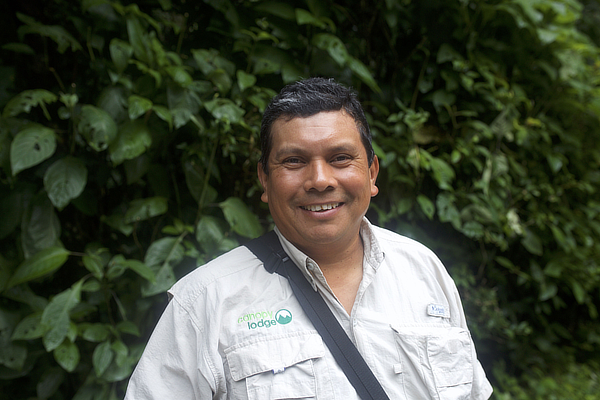 Danilo loves bird guiding and imparting his vast knowledge of the forest – mostly gained during his youth – to everyone! Danilo trained his son, Danilo Jr., who is now an accomplished guide. Danilo and Danilo Jr. guide together at the Canopy Lodge, representing one of the family connections among our guiding team.